Five star luxury and excellent cuisine are just some of the perks with this magnificent 38,2 meter first class Gora gulet - based in Bodrum, Turkey. Gulet Gora offers 5 exquisite cabins with all the major comforts and luxury you can expect from a VIP yacht charter. All cabins are fited with A/C, and en suites with hydro massage showers, SAT TV and DVD player/music system. Water toys include, kayak, snorkeling gear, amateur fishing tackle, water skis, a jet ski, wakeboard, donut, paddleboard and a 5.80m Joker boat with 150 hp outboard engine. Combined with exceptional crew of 8, savory Mediterranean cuisine and flexible itinerary - spoil yourselves with a holiday experience of a lifetime. 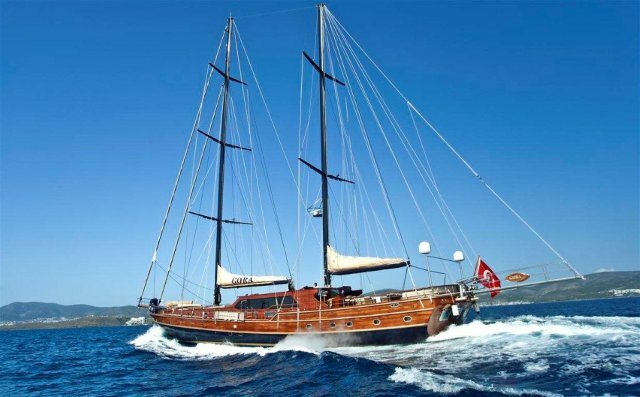 The Gora gulet is ideal for executive yacht charters in Turkey and Greece, family or medium sized private groups. 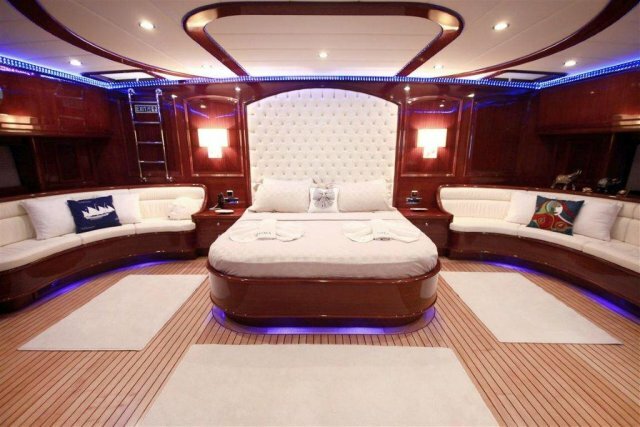 You can make your dream a reality with this fine vessel in the azure waters of the Mediterranean and Aegean seas.